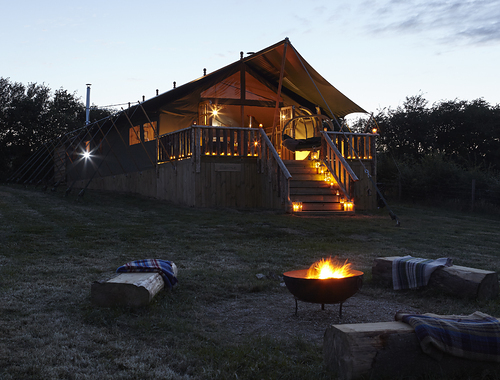 4 Spacious Safari Tents Set Within Private Meadows. 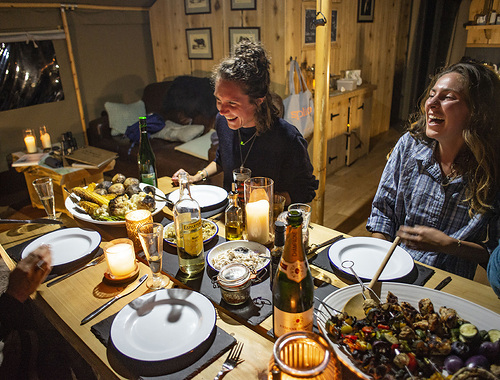 Welcome to Glamping The Wight Way…A Gentle Off-Grid Experience. Four Spacious & Well-Equipped Safari Tents set within a pair of interlinking meadows - all with gorgeous river and countryside views. 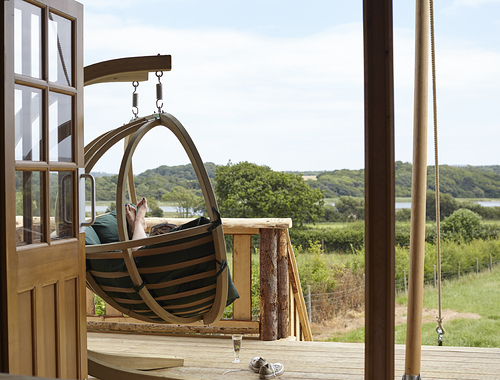 Sleeps 6 to 8 - children & babies welcome - travel cot, highchair, toddler loo seat/ step & melamine crockery provided. Three Separate Bedrooms - 2 x King beds (one of which can be split into twin beds), 1 pair of adult sized bunk beds and a double sofa bed in the living area. Travel cot for babies can fit into the King bedrooms. Bathrooms & Washing - Bathroom & flushing loo. Separate washroom & flushing loo. Private outside shower. Kitchen - well equipped including hob, fridge, wood burning stove, butler sink, fitted cupboards & bins. Groups - If you would like to book more than one tent, please email us on glampingthewightway@gmail.com or call on 07585 956141. We do not accept Stag type groups due to the nature of our calm environment. We will be happy to discuss other types of group bookings individually. How Off Grid are we? - We use solar power to charge power packs which provide limited lighting & USB charging dependant on the daylight hours & sunshine. We have gas bottles providing the outdoor showers, fridges and hobs with gas. We supply some wind-up lanterns, torches & solar powered lighting outside & inside. The tents have many windows and wide, glazed doors on the front to let the light in. The wood-burning water heater and separate stove also provide heating. Our tents are insulated from underneath and have an extra roof canopy to provide further shelter over the structure. This is Glamorous Camping after all! What is Included? - Bed linen & throws, blankets, bathroom towels & mats, generous starter kits for the kitchen & bathrooms. All wood, firelighters & briquettes. Starter bag of bbq lump wood charcoal. (Bring your own beach towels and back-up power packs). Dogs - We are unable to accept any dogs or pets due to the terms of our lease on the Farm as livestock live in most of the fields around our site. Departure - before 10.30am please.